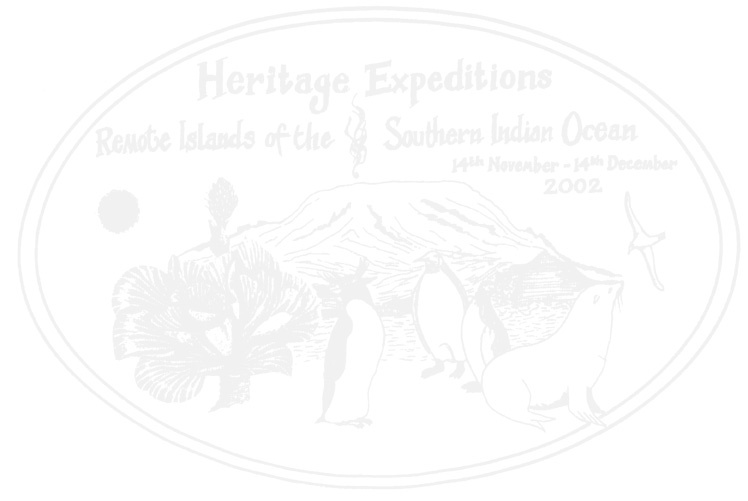 The McDonald Islands are a small group of islands about 43 km (27 miles) west of Heard Island. 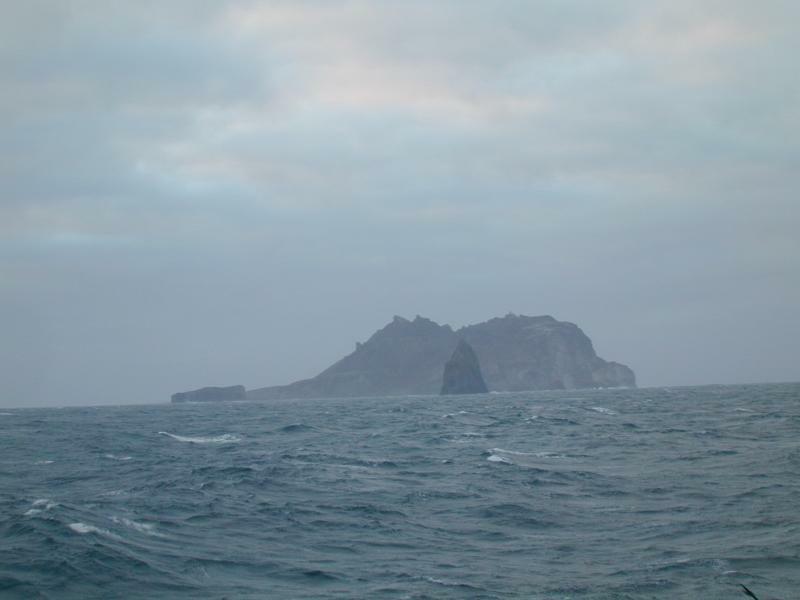 We pass by them on the way to Heard Island early on the 25th, and return for another visit on the afternoon of the 26th after steaming up the west coast of Heard Island. 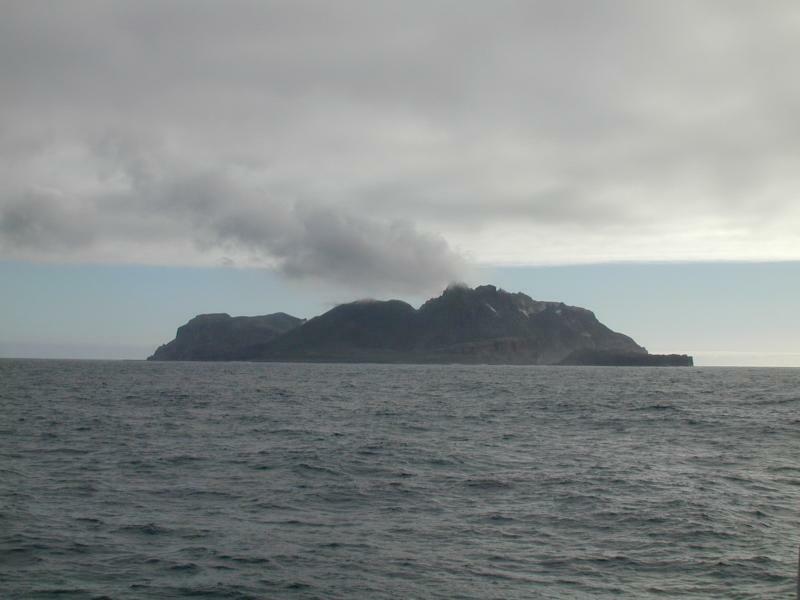 We are surprised to find that the geography of the main island has changed considerably (due to volcanic activity) since the last time it was mapped; we are the first visitors to notice the changes. 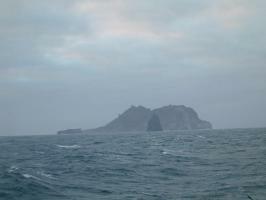 A grey morning reveals the main island and a nearby rock called Meyer Rock (about a mile from the main island), silhouetted against it. 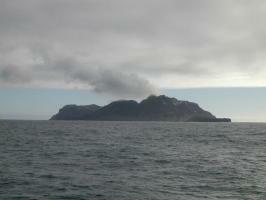 Still very active volcanically, the main island emits a plume of steam when we return the following evening. Below a jagged, uneroded skyline, what looks like patches of snow is actually steam leaking from volcanic vents. 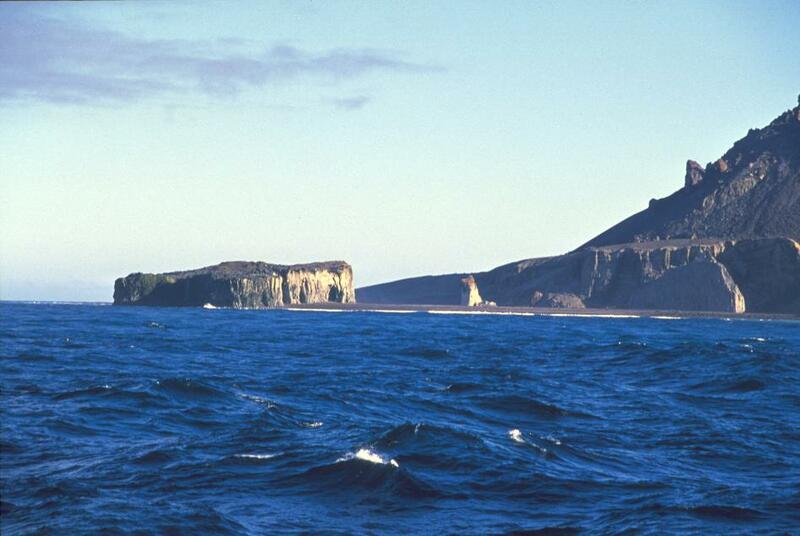 Once a separate island called Flat Island, the square plateau at the left is now joined to the main island by a flat stretch of beach. 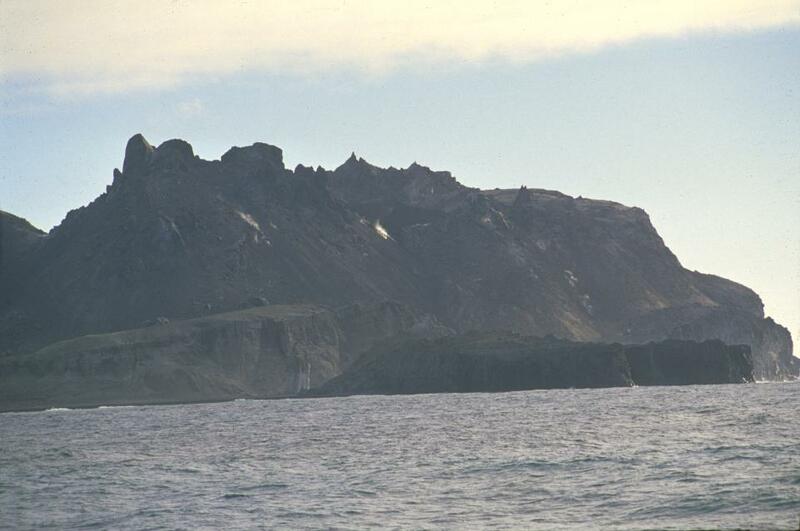 A striking sphinx-shaped rock sits across from it. 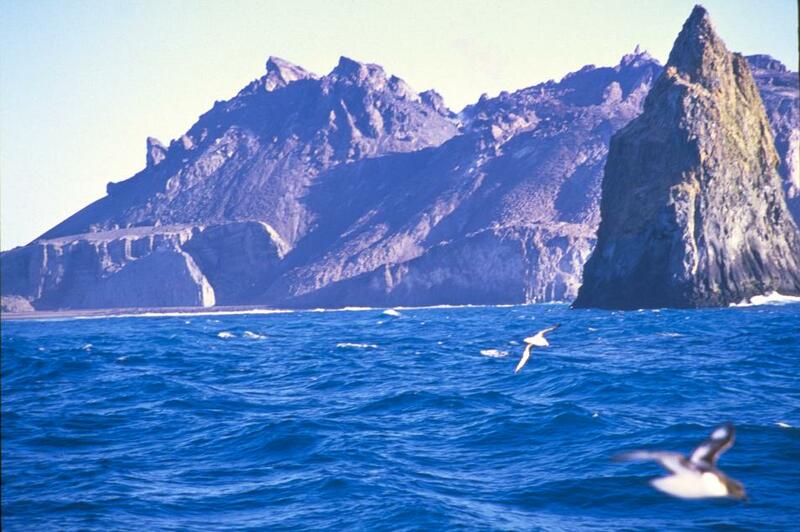 Cape petrels swoop across the water in front of the rugged main island and the needle-shaped Meyer Rock a mile offshore. 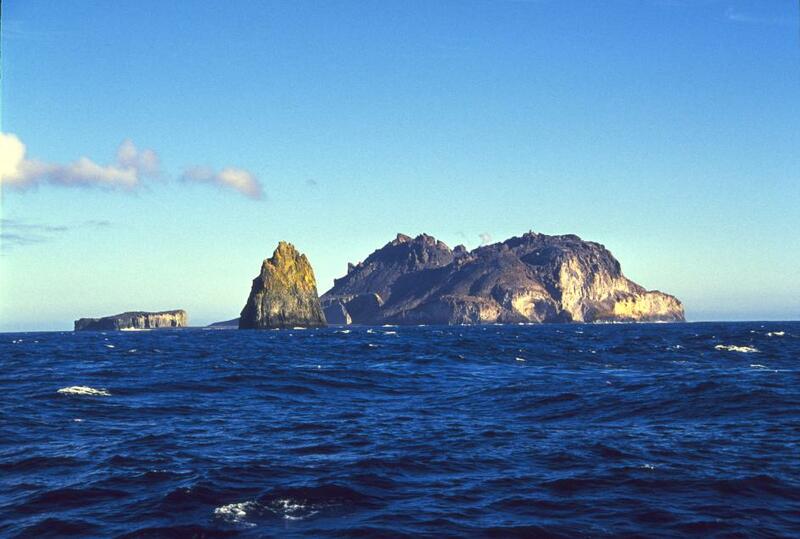 A last view of the McDonald Islands in the late afternoon sun.